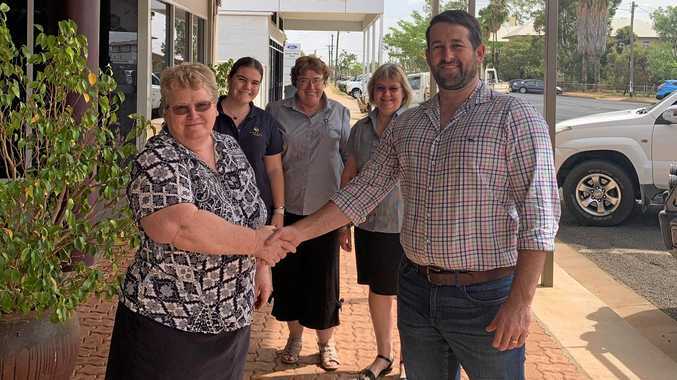 MORE than 40 years in the accounting business is a notable achievement for Leanne Shelswell, who is retiring from Condon Financial in Charleville. Ms Shelswell said she had seen plenty of change during her tenure. "I started my working life on January 24, 1978, working for Burton Donaldson and Co," she said. "The firm became Donaldson Burton Meiklejohn and Co in the early 1980s, and they then sold the firm to Griffin Jones and Co in September 1983. "Then, in mid-1989, Greg Phillott went out on his own, with May Pepper and myself joining him in July 1989, working from Wills St.
"I worked for Phillott and Company Pty Ltd until Greg retired in December 2014 and sold his business to Condon Financial. "From starting work in July 1978 with Burton Donaldson and Co, PO Box 198 and a phone number of 46541222. "Now I am finishing work some 41 years later, after quite a few changes of employers, and end up with Condon Financial Pty Ltd, PO Box 198, and the phone number 46541222."